here’s a prime unit facing the pool, manila golf course and makati skyline located in Bonifacio Ridge, Bonifacio Global City, Taguig that’s in the market for lease. total floor area is 113 square meters. two bedrooms, den, two bathrooms, maid’s quarter with bathroom, kitchen, and a parking slot. 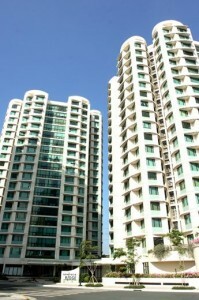 this fully furnished unit is for lease for Php 90,000.00 a month excluding dues. for further details and appointment for viewing, please call our office.